Having a website doesn’t by itself won’t do you any good if no one finds it! When people are searching Google for an appraiser in your area, do you come up in the search results? Being in the search results can make a huge difference in how many people come to your website and contact you. 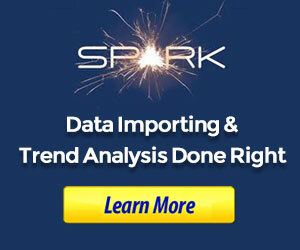 How do you rank highly in the search engines? In this video, you’ll learn some ranking tips that you’ll want to follow to give you a leg up on your competition and start working towards getting your website ranked in Google! Let’s talk a little bit about some appraiser website ranking tips. You don’t want to be the business that’s getting dominated online. Let’s go ahead and share some ways you can rank your site. We could do a whole weekend training on this so I’m just going to touch on a few points to help you here because there’s a lot of in depth training we could do… but I want to share some really good things that will help you. The first is paid search using Google Ads. This is something we do with our new clients as well as with our mastermind members. We show and train them how you run Google Ads. How can you show at the top of a Google search? With a paid search, so when you run an ad and somebody clicks on it, you get charged anywhere from 50 cents to three or four dollars a click. But when people are searching, it’s a paid ad and this works immediately. When we are trying to build out things organically, many times we run Google Ads for our website just so we can get work starting right away. Reviews… this is something we were teaching five years ago. Now everybody is on board, but we were teaching this long ago and it’s not as powerful as it once was but it’s still very powerful. You want to link your Google Plus business page to your website. The goal is to start getting Google reviews and you’re going to get greatly rewarded. Google will look at those reviews and it will start giving your site much more authority when they see you’re getting reviews. I will show you an example of that in just a little bit. What about regular content if you have a blog? It’s a great way for ranking if you’re putting out regular content. That’s a topic for another day but it’s a great way to rank your site… When you’re putting fresh regular content on your blog. Also, you must be mobile friendly. You have to have a responsive design and right now Google is going to reward you if you have that. We already shared this resource a little earlier where you can go and check your website to see how that looks. Your website has got to have fast loading speed. Backlinks really are helpful as well. There are services out there that will do impact linking to your website. A matter of fact, years ago we were doing things with video where we were doing some video marketing. We would have put a backlink into the description with that video and we were taking some very prominent members in the appraisal industry. We were taking it from page 10 to page 1. Within a matter of just a few days simply because we were backlinking their website address into the descriptions of the videos that we were doing. Directories, what are those? The Yellow pages, Yahoo, all the hundreds of directories out there. You can go to Moz.com and put in your domain name and it will give you an on-site ranking of your online presence. It will tell you all the directories you’re not on as well as the ones you are. The more directories your business is listed in, and the more citations you have in the different directories, the greater your website’s chance to rank. There are services like DirectoryMaximizer.com – that’s a service out there that will do that for you. The more directories you’re on, the better chance you’re going to have of being found, and the better chances are your site is going to rank. I’m not going to get into too much about your titles and descriptions or on-page optimization. This is something that your website developer needs to make sure they’re very clear on for your local market area. This is crucial that your website is developed and designed for your market area and that it’s designed to rank in your market area. So, whoever you’re working with on that list, make sure that your titles and descriptions are keyworded for the marketing area you’re working in. Now this is something that’s really important now… This is a change that took effect not that long ago. You want to have your business address and location on every single page your website. If you don’t already, that’s something that you want to make sure that you do. Make sure it’s listed at least at the bottom of every page of your site. The last ranking tip would be that it really helps if your business address now is in your target area. I can share with you that there are several appraisers I know that were ranking very well in their market areas. Then with a couple of changes about a year ago or so with Google, even though they were just a block out of the city limits, all of a sudden they lost their rankings because they weren’t actually in the market area. There are a lot of ways you could handle this, maybe get a virtual office in your market area or you could maybe test a UPS store, that may or may not work. You never want to do a P.O. box. It really helps for ranking local if you have a business address in your target area. Now this is an example of a paid ad. So, if somebody wants “Chicago appraiser” you can see in the little green box where it says ad? So, don’t go in and click on those but this is something where they’re paying to be at the top of that search result. And these are really effective when you do that. If you’re looking to get work right away, this is a great return on your money to do this and the training for how to do that will be another day. We’re talking about reviews. This is kind of an organic search. How do reviews help you? Well these are a couple of sites that we helped with several years ago. And when we talk about working with people who have expertise or have proof, here’s proof of some of the sites that we’ve done and helped with them. These are sites that we did a while back, but you see right there at the top in the top is simply searching for “Chicago appraisers,” you see right there… Chicagoland Appraisals shows at the top. Now what’s really important there? Look at those 55 Google reviews. When we talk about reviews and how that can help you, you can see how that is helped in the ranking. If you go down to the third spot and look at Paul’s site, he now has over 90 google reviews. This is also an example, notice that at the top, John is in Chicago… Previously, Paul was the number one spot and he is located just outside Chicago. So when Google made that change that you had to have your business address in the city limits, that’s when Paul’s website kind of slipped a couple spots. Once again, these are examples of sites that we have done in the past. We’re going to show our new version, but we wanted to show you how important and what reviews can do and help your rankings. Is your appraiser website ranking well? Do you have any questions or comments? Leave us a comment below or post in our free Facebook group. 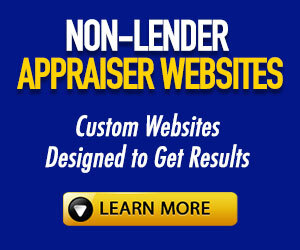 What is the Appraiser Insider?